Air filters aren’t really a glamorous topic. Plunking down the kind of money it takes to upgrade to a whole new HVAC/furnace combo—well, that is really a conversation starter. But A/C or furnace filters...well...bleh. Generally speaking, they’re just not too exciting to discuss. Unless, of course, you know something most people don’t, which is that the air filter you choose for your air conditioner and furnace can make all the difference between how healthy and budget-conscious your investment in a new HVAC/furnace combo really becomes! 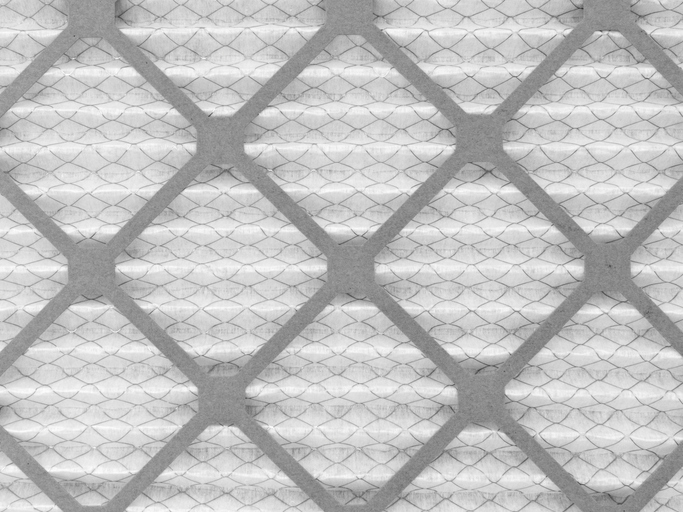 In this post, we take some time to review the different air filter materials, how they function, and how well they clean and filter your indoor air. P.S. At the end of this post, learn how you can qualify for a FREE air media cleaner that can effortlessly clean and filter all the air in your home! These are the five main types of air filters in use in homes and workplaces today. Each of these filters works with your home’s furnace and HVAC system to filter and clean your indoor air supply. If you have a choice between cellulose and fiberglass, pick the latter. Because cellulose filters are made of plant fibers, manufacturers have a much harder time ensuring consistency from filter to filter. Having said that, neither cellulose or fiberglass are known to be particularly efficient at trapping small (micro) airborne particles. They are better used for filtering oil rather than air. Reusable, washable filters can be a smart budget choice, since many can last up to five years with just routine spraying with the hose. Some of these types of filters can also be coated with a special epoxy to help trap smaller airborne particles. Polyester material filters can last up to 90 days before requiring disposal. Higher-end polyester filters often come pre-charged to filter out smaller micro-particles than what a standard filter could accommodate. Electronic filters, of course, require their own power source to operate. However, they can be very effective at filtering out even smaller particles from the air. Electronic filters are a great choice if anyone in your household or office smokes, since they can filter out airborne smoke particles as well as other toxins. However, they can be high-maintenance. High efficiency filters are designed to filter out very small airborne particles, making many of these filters suitable for use in medical and laboratory settings as well as in your home or office. These filters tend to look more like boxes than flat filters—they have deeper pleats and a more intricate system of fibers to do a better job of straining particulate matter out of the air as it passes through. Not surprisingly, you can expect the best results from high efficiency and electronic filters. They are deeper and have more intricate pleat systems to catch and filter out even tiny particles that could aggravate allergies, asthma, respiratory issues, skin irritations, and worse. As the University of Illinois reports, it is this presence of pleating, and deeper pleats in particular, that can really boost a filter’s efficiency in trapping micro-particles. The pleating makes it more difficult for the air to pass through the filter, which gives the filter more time to catch particles. The least effective filter is a fiberglass/cellulose filter, followed closely by reusable and thin disposable filters (even with pleating). What you need to remember here is that thick (boxy) pleated filters with high efficiency ratings far outperform all other filters when removing toxic micro-particles from your indoor air. Each HVAC and furnace manufacturer will issue their own guidance regarding the types of filters that work best with their products. During seasons of heavy HVAC or furnace use, changing or cleaning your filter every 30 days will give you optimal filtration performance. For an extra bonus, keeping your filters as clean as possible can also save up an estimated 15 percent on temperature control-related energy use. Want a FREE Indoor Air Quality Appliance? Right now, when you purchase any air conditioning and furnace combo, you can choose one FREE indoor air quality appliance that will work with your new HVAC/furnace to clean and purify your indoor air supply. Indoor media air cleaner. This deeply pleated big-box whole-home air cleaner will take your indoor air quality to a whole new level. Indoor U.V. Saber light purifier. Clean and purify with the power-packed punch of U.V. light. Whole home humidifier. Keep your indoor air humidity-balanced for seasonal good health. This special offer is available for a limited time only. To learn more and let us know you would like to take part, just fill out this simple online form! If you are ready to upgrade your air conditioner and heating system to one of the new high efficiency units that can deliver cleaner air and lower energy costs, we are here to help! Just give us a call at 905-546-4616 or visit us online at www.shiptons.ca.